Home / Opinion / UP doctor blasts CBCP: Your group is simply ignorant and inutile! UP doctor blasts CBCP: Your group is simply ignorant and inutile! Even before, it can be recalled that the Church has always been very vocal about their stand when it comes to the government's efforts in the country that greatly impact the lives of the people, especially the masses, in which the Catholic community is the majority. In line with the never-ending remarks of the Catholic Church aimed at the society's present condition under the incumbent administration, the supporters of President Rodrigo Duterte continues to come to his defense to clear the president's good name. This, despite of them being a Catholic. 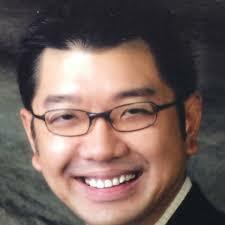 Francisco P. Tranquilino, a doctor from the University of the Philippines, a professor, and now a well-known social media personality due to his admiration for Pres. Duterte, is one of the many people who would go to great lengths just to show his sincere support and respect to the firebrand Mindanaoan president. In one of his Facebook posts dated July 15, Dr. Tranquilino blasted CBCP or the Catholic Bishops Conference of the Philippines about the 'Letter of Exhortation' which came with the title "Rejoice and Be Glad". Based on the pro-Duterte doctor, the said piece was read in all churches throughout the country in lieu of the Homily. But "the context was wrong right from the onset", Dr. Tranquilino stated. "It lays the scenario that the church is being persecuted and thus must react accordingly. And that darkness pervades in our midst today", he added. Encouraging its faithful followers "to be peacemakers in these troubled times in our country" is what the message conveys, the UP doctor continued. However, the latter strongly disagreed with the said letter from CBCP and addressed them one by one. With the 'troubled times' mentioned, Dr. Tranquilino argued that if they, the church, continue to violate the law about the separation of church and State, then indeed, the country is in trouble. TROUBLED TIMES? Well, if the church insists in violating Article 2 Section 6 of the 1987 Constitution which states “The separation of church and State shall be inviolable,” then we are indeed in troubled times. Anent the 'darkness' stated, the genius from UP questioned their motive as this, for him, is opposed to what is actually happening at the present time: "there is so much hope for this country under the present administration". Something that both for the church and Pres. Duterte's political opponents is a tough pill to swallow. DARKNESS? Who says we are in darkness? Why paint such a gloomy scenario when in reality, there is so much hope for this country under the present administration. Something that the church and the Yellow opposition refuse to acknowledge. “We are no strangers to ridicule and persecution. What we are going through is no different from what the Psalmist describes in Psalm 64: “They sharpen their tongues like swords; they aim bitter words like arrows to shoot at the innocent from ambush, shooting suddenly and recklessly.” But what does the Lord tell his disciples when they are persecuted or humiliated for his sake? He tells them to “rejoice and be glad” (Mat 5:12). “Our sufferings as church leaders are nothing compared to the sufferings of the poor in our country. Do we not hear the cry of poor slum-dwellers being jailed for “loitering”? Have they forgotten that for the homeless urban poor — the little alleys between their flimsy homes also serve as kitchens, bathrooms, recreation spaces, and playgrounds for their children? Have they forgotten that they live in tiny dwellings that are razed quickly to the ground when fire strikes, because they do not have proper roads? Do we not feel the sufferings of drg addicts who are labelled as “non-humans”, and are stigmatized as criminals when their names end up in the dreaded “drg watch lists? Yes, we are aware of the sufferings of those who have been victimized by substance abusers, but can we not see them also as sick people who are struggling with a disease? Should we not rather look at them also as victims who are crying out for help? Are we to remain as bystanders when we hear of people being kIIed in cold blood by ruthless murdrers who dispose of human lives like trash? Do we not realize that for every drg suspect kIIed, there is a widowed wife and there are orphaned children left behind — who could hardly even afford a decent burial for their loved ones? Do we not care when poor people’s homes are searched without warrants, or when drg suspects are arrested without warrants, or detained without charges? “The church respects the political authority, especially of democratically-elected government officials, AS LONG AS they do not contradict the basic spiritual and moral principles we hold dear, such as respect for the sacredness of life, the integrity of creation, and the inherent dignity of the human person. We are not political leaders, and certainly not political opponents of government. The Church has, throughout history, coexisted with countless forms of government. The church has always been and will always be a partner of government (especially in the LGUs and barangays) in countless endeavours for the common good, especially in addressing the needs of the most disadvantaged sectors of society. Sometimes we qualify the collaboration as “critical”, mainly to distinguish our differences in terms of ultimate goals, even as we partner in some shared endeavours. Needless to say, on some specific issues, collaboration might not be possible because of our spiritual and moral beliefs, which we persistently propose, but never impose on the unwilling. In such instances, we can only invoke our right to conscientious objection. We do recognise the constitutional provision of the separation of church and state, mainly in the sense of distinction of roles in society. When we speak out on certain issues, it is always from the perspective of faith and morals, especially the principles of social justice, never with any political or ideological agenda in mind”. CBCP IS SIMPLY IGNORANT AND INUTILE! The CBCP Letter of Exhortation entitled “Rejoice and Be Glad,” was read in all churches throughout the country today in lieu of the Homily. THE CONTEXT WAS WRONG RIGHT FROM THE ONSET. It lays the scenario that the church is being persecuted and thus must react accordingly. And that darkness pervades in our midst today. The Exhortation says: “We are no strangers to ridicule and persecution. What we are going through is no different from what the Psalmist describes in Psalm 64: “They sharpen their tongues like swords; they aim bitter words like arrows to shoot at the innocent from ambush, shooting suddenly and recklessly.” But what does the Lord tell his disciples when they are persecuted or humiliated for his sake? He tells them to “rejoice and be glad” (Mat 5:12). Who is being persecuted and insulted here? Isn’t it the church who continue to persecute and blame Duterte for all his actions they disagree with? Isn’t it the church who continue to inflame, foment and incite anger, and lay blame to those trying to maintain peace and order, protect lives (especially of the innocents), liberty, and property, and promote the general welfare for the enjoyment by all? Isn’t this what the State is supposed to do based on the Constitution yet the church continue to criticize the government for its attempt at trying? The church has no right to intrude and obstruct the government’s performance of its Constitutional function. And it doesn’t really matter if Duterte believes in God or remains an atheist, BECAUSE THE STATE SERVES THE PEOPLE REGARDLESS OF ITS FAITH AND BELIEF. Let us first clarify this scenario the church is desperately trying to portray. There is division because the obstructionists, Church included, attempt to undermine a democratically-elected government, because a President that was not endorsed by the Catholic Church won the election. 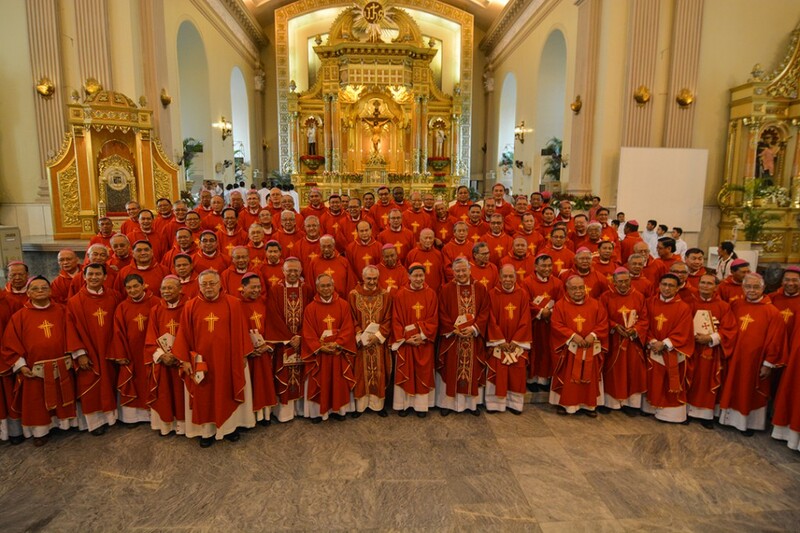 CBCP: “And how are we to deal with divisions among ourselves? How are we to deal with fellow “Christians” who see nothing wrong about the kIIings, who just laugh when our God is blasphemed, and who take part in passing on fake news? Did not the Lord himself warn us that part of the exigencies of working for peace is having to go through the crucible of conflicts? KIIings? Laughing when God is blasphemed? Fake news? Look who’s talking! When the likes of Socrates and Pabillo and now the CBCP as a group, use the church to spread these exhortation, bereft of the true sentiments of the people, filled with twisted facts and fake news coupled with visuals of staged photographs flashed during Sunday Masses throughout the country, to stir the anger in the people, then something is terribly wrong with this church. Really, really wrong!!! CBCP: “Our sufferings as church leaders are nothing compared to the sufferings of the poor in our country. Do we not hear the cry of poor slum-dwellers being jailed for “loitering”? Have they forgotten that for the homeless urban poor — the little alleys between their flimsy homes also serve as kitchens, bathrooms, recreation spaces, and playgrounds for their children? Have they forgotten that they live in tiny dwellings that are razed quickly to the ground when fire strikes, because they do not have proper roads? Do we not feel the sufferings of drg addicts who are labelled as “non-humans”, and are stigmatized as criminals when their names end up in the dreaded “drg watch lists? Yes, we are aware of the sufferings of those who have been victimized by substance abusers, but can we not see them also as sick people who are struggling with a disease? Should we not rather look at them also as victims who are crying out for help? Are we to remain as bystanders when we hear of people being kIIed in cold blood by ruthless murdrers who dispose of human lives like trash? Do we not realize that for every drg suspect kIIed, there is a widowed wife and there are orphaned children left behind — who could hardly even afford a decent burial for their loved ones? Do we not care when poor people’s homes are searched without warrants, or when drg suspects are arrested without warrants, or detained without charges? What? If this is how the church view our social ills and continue to criticize the government for trying to do something for the betterment of all, then the church should just shut up! You have been there for centuries and have not solved anything, YOU ARE EVEN PART OF THE PROBLEM, and now you want to stifle a President for attempting to do something good for the country? The State is obligated to free the people from poverty through policies that provide adequate social services, promote full employment, a rising standard of living, and an improved quality of life for all, WITHOUT CONSIDERATION OF CREED OR RELIGION. THEN THE CHURCH REVEALED ITS TRUE COLOR, IT IS TAKING A POLITICAL SIDE, IT LEAVES NO ROOM FOR OTHERS WITH DIFFERENT FAITH AND MORALS. IT IS CLEAR, THEY RECOGNIZE THE SEPARATION OF CHURCH AND STATE BUT ONLY IN THE DISTINCTION OF ROLES. THE CHURCH INTRUSION IN POLITICS CORRUPTS THE SYSTEM. THE CHURCH NEVER PRESENTS A VIABLE SOLUTION, BECAUSE IT IS PART OF THE PROBLEM. AND WORSE, IT PREVENTS THE LEGITIMATE GOVERNMENT IN SOLVING THESE PROBLEMS. THE CHURCH REMAINS INUTILE IN ITS EFFORTS, IF ANY, AT ADDRESSING THE SOCIAL ILLS. THIS IS HOW IT HAS BEEN SINCE CENTURIES AGO. Today the CBCP PASTORAL EXHORTATION WASTED ITS CHANCE AT EXTENDING A RECONCILIATORY GESTURE WITH THE GOVERNMENT. It should have espoused reconciliation, collaboration, tolerance, justice and mercy. It should have inspired its faithful to do its share in nation-building, cooperate with the sincerest efforts of government in pursuing policies that will improve everyone’s quality of life, preserve peace and order and instill discipline. Instead, it turned into a propaganda against Duterte and his government by bombarding the church-goers with biased and fake images that only provoke anger and instill fear among its people. If Duterte said “god is stupid,” then I will bravely say, this CBCP is ignorant, out-of-touch with reality and simply inutile!